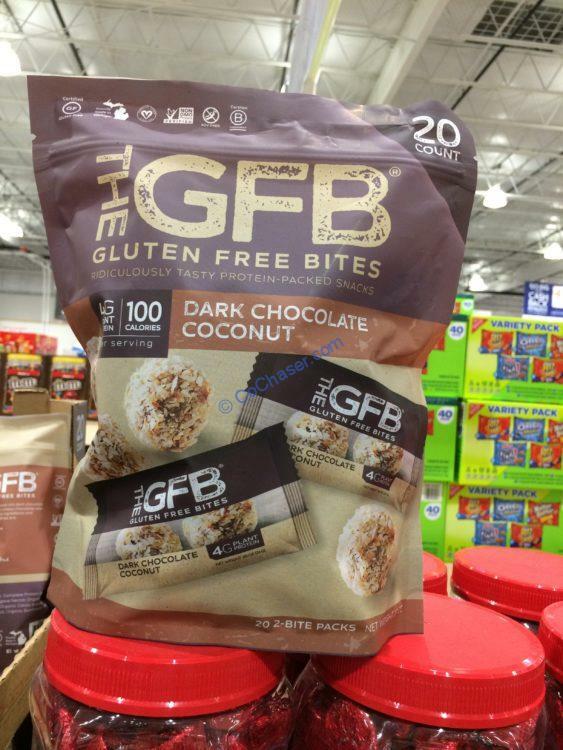 Skip the sugar-loaded candy bar, and reach for a yummy Dark Chocolate Coconut Gluten Free Bar from The GBR instead. Packed with protein and delicious good-for-you ingredients, enjoy these chewy-crispy bars guilt-free as a snack or to refuel post-workout. Per serving size 0.85 oz (24g), contains 100 calories, 40 from fat. For each serving, you get 4.5g total fat, 3g from Saturated fat, 4g protein, 2g fiber and 5g sugars.